The Supreme Court on Tuesday dismissed the appeals challenging the advertisement and process of recruitment to the Punjab Superior Judicial Service conducted way back in the year 2008 while holding that a seat that fell vacant on the elevation of a judge after the publication of advertisement cannot be included in the recruitment. The apex court also observed that the advertisement cannot be held to be defective merely because every vacancy which existed at the time of its publication has not been advertised or taken into account. 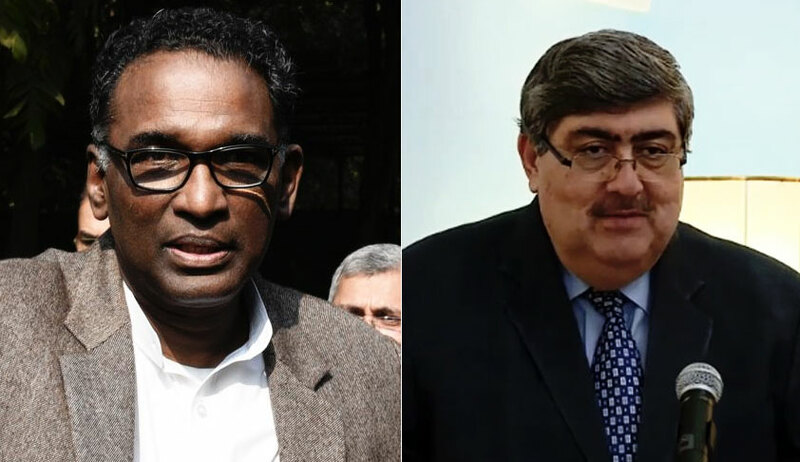 A bench of Justice J Chelameswar and Justice Sanjay Kishan Kaul said so while dismissing the appeals moved by five advocates who had taken the examination pursuant to the 2008 advertisement but could not be succeed. It is to be noted that as per Rule 7 of the Punjab Superior Judicial Service Rules, the method of appointment was both from amongst the members of the Punjab Civil Service (Judicial Branch) as well as direct appointment from amongst the eligible advocates on the basis of written test and viva-voce conducted by the high court. Sub-clause (c) of Sub-rule (3) of Rule 7 dealt with the direct appointment for which 25 percent of the posts were reserved. The appeals in question relate to the process of the direct recruitment under these rules at the first instance, carried out in pursuance of the advertisement issued on February 2, 2008. Applications were invited for selection of 21 candidates – 10 from general category, six from Scheduled Caste category, two from Backward Class category, one from ex-serviceman (General) category, one from B.C. (ex-serviceman) category and one from the physically challenged category of locomotor or orthopedic disability. The advertisement also stated that ‘the number of posts will be subject to variation’ and that “if no candidate is found suitable or medically fit under the category of physically challenged, the post shall be reverted to the General category candidate”. All the appellants before the apex court belonged to the general category and had appeared in the said examination but their merit position was beyond 10. One of the SC candidates obtained marks to merit consideration without the benefit of reservation and consequently, nine of the general category candidates were recruited against the 10 posts. In their pleas, the appellants raised five major points for seeking relief of absorption. One of the points raised was that since one judicial officer was elevated to the Punjab and Haryana High Court in March 2008, one more seat for general category became available post issuance of the advertisement and since the number of posts was subject to variation, this vacancy should be made available to the general category. The advertisement wrongly made provision of two seats for ex-servicemen—one in general category and one in the backward class category even as such a reservation had no force of law. The high court had later abandoned the process of recruitment for this category and resolved that the vacancy would go to the general category but that was not done. To this, the apex court noted that one of the appellants had made three successive attempts in three subsequent exams, but was unsuccessful. It also noted that one of the seats that was initially reserved for ex-servicemen was filled by promotion of judge of the fast track court. “Not only that, there has been a passage of a decade since the initial recruitment and though the appellants cannot be blamed for judicial delays, it is really not possible to put the clock back for all the aforesaid reasons,” said the bench. Recruitment of two judges from fast track courts. The apex court noted that the seat that fell vacant on the elevation of a judge and one of the seats wrongly reserved for ex-servicemen was filled by recruitment of two judges from the fast track court. It noted that the fast track courts were created to deal with pendency of certain type of cases but since the fund from the Central Government ceased after five years, the question arose as to what was to happen to these fast track courts, especially keeping in mind that a number of the presiding officers had been appointed directly from the Bar. The high court said in pursuance of a 2002 SC judgment, it devised a method of absorption of the judges appointed to the fast track court on a permanent basis. The selection of judges from the fast track court was preceded by a selection committee constituted by the high court in order to assess their suitability and these two judges had obtained the highest marks. “The moot point, however, remains whether one of the vacancies in the advertisement, which arose ought to have been utilized for absorption of these Fast Track court Judges, which, in turn, affected the seniormost, i.e., Gurmeet Pal Singh. In a way, Gurmeet Pal Singh suffered the consequences both of a more meritorious candidate from the SC category being found eligible, because of which he went one slot down. But then it is a well-established legal position that members belonging to the reserved category, who get selected in open competition on the basis of their merit have a right to be included in the General/Unreserved category and are not to be included in the quota reserved for the SC category,” said the apex court. The appellants also contended that no candidate was available in the physically challenged category, but instead of carrying it to the general category, the vacancy was carried forward. Another argument advanced was that the advertisement was issued on the basis of a total cadre strength of 107 posts, while actually the total cadre strength on the date of advertisement was 111, i.e., there were four more posts, which could have been filled in and the general category would have got two more seats and two more candidates could have been absorbed in the general category. The bench dismissed this argument, saying, “The advertisement was not challenged by any of the appellants. It is a well-settled principle of law that when a candidate appears in an examination without objection and is subsequently found to be not successful a challenge to the process is precluded…Thus, undoubtedly the appellants not having challenged the advertisement at the relevant point of time, cannot be permitted to contend that having not made the mark in the cutoff for the select list, something must be done to somehow accommodate them. The plea of the existence of a larger number of posts is in this direction. “No doubt every endeavor should be made to fill up the existing vacancies and prospective vacancies…. However, there cannot be a blanket proposition that the advertisement is defective merely because every vacancy which existed or which is contemplated is not taken into account. Certainly, a subsequent vacancy arising from an elevation can hardly be treated as in contemplation”.